Last week, Milkybar® challenged us to have a day of 'Why Not?' as part of their campaign to celebrate the launch of their brand new Milkybar® Wowsomes®. The idea was for us parents to stop saying no to things for no good reason, and to look at life through a child's eyes and bring a carefree attitude to family life! I like to think I'm a pretty carefree parent already. I'm very relaxed and like to get out and do things. But there are two things I say no to nearly all the time; arts and crafts and letting the kids loose in the kitchen. As you've probably guessed, I'm a bit of a bore when it comes to making a mess! 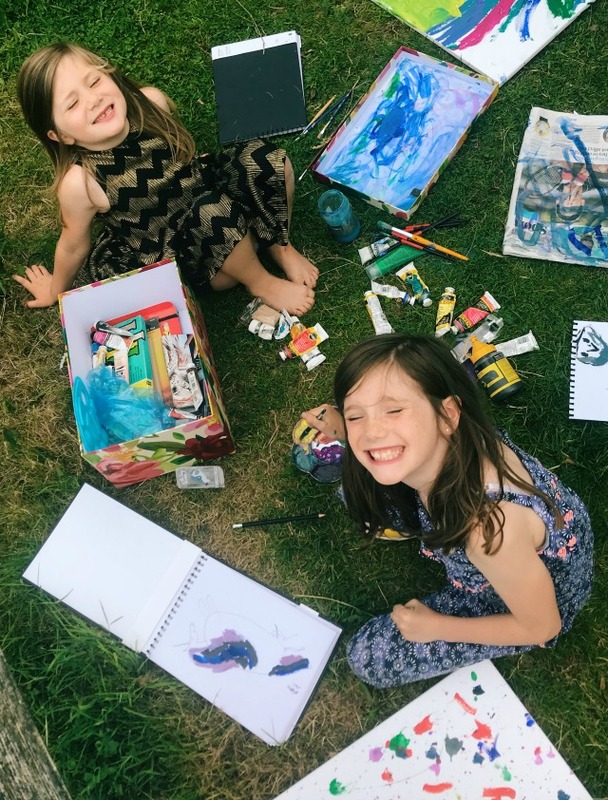 Paints, glitter, glue and play doh make me shudder and the girls have to catch me in a very good mood to get me to agree to having a day of creativity so I had a sneaking suspicion that painting might be one of the things they chose to do on the day I had to respond with a 'Why Not?'! I'm also rather methodical in the kitchen and like to take control over things, plus I'm a fan of healthy eating and often say no to unhealthy snacks. 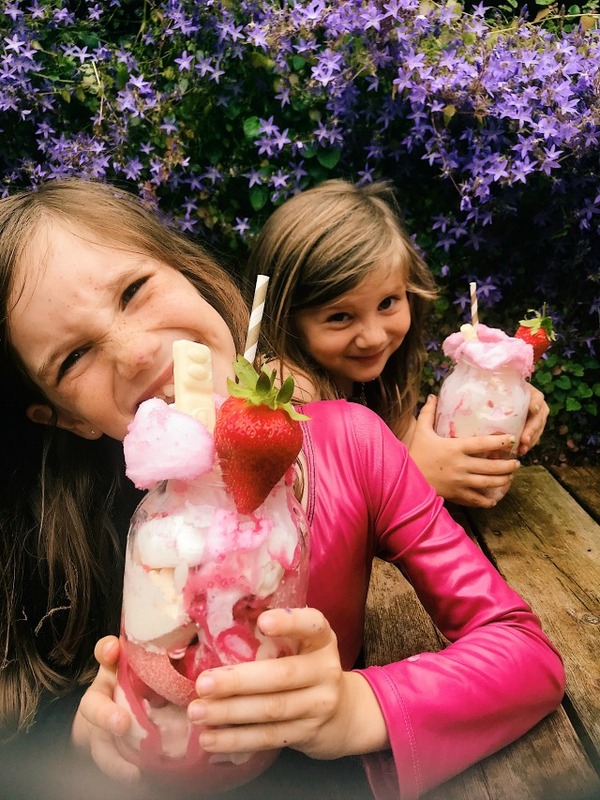 When the girls asked to go out for freakshakes I thought I'd offer a compromise - I suggested we make our own, healthier versions at home, and let them take charge for once which they were delighted about. 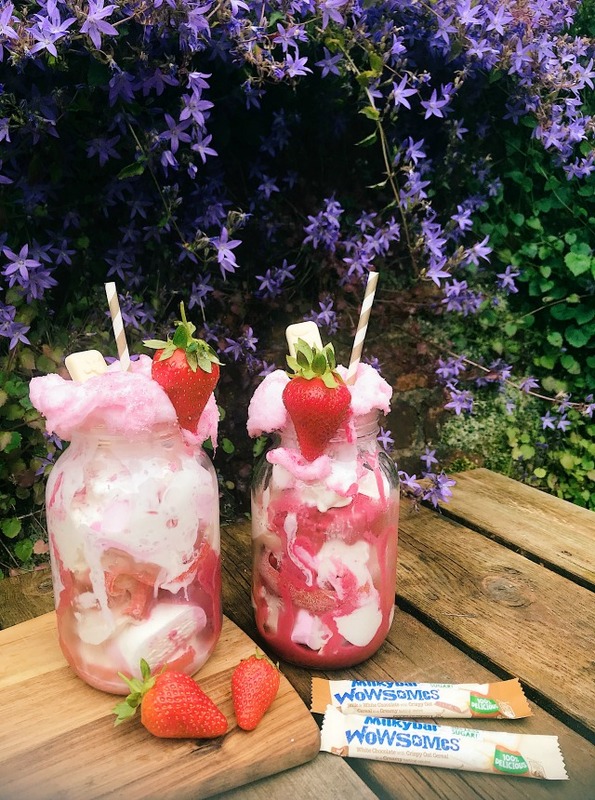 We blitzed fresh strawberries and raspberries in the blender to make a fruity sauce and layered it with sorbet, fresh strawberries and a few marshmallows, then topped it with cotton candy - and Milkybar® Wowsomes® of course! They were utterly delicious, and the best bit was that I got to finish them both off as the girls' eyes were bigger than their bellies! When it comes to painting, the girls get quite cross with me. You see, I paint - and they very often see my easel up and my paints out and want to join in. I'd let them if they weren't the messiest painters in the world and didn't usually give up after half an hour or so. In our old house in London I had a little studio and I didn't mind a bit of paint slopped here and there so arts and crafts were a more regular occurrence. Now we live in a teeny tiny house and everything needs to be packed away at the end of each painting session so I'm very reluctant to start them. The girls had so much fun painting in the garden that I felt awful when realised how much of a meanie I've been for the last few years. The grass did end up a rainbow of different colours but hey! 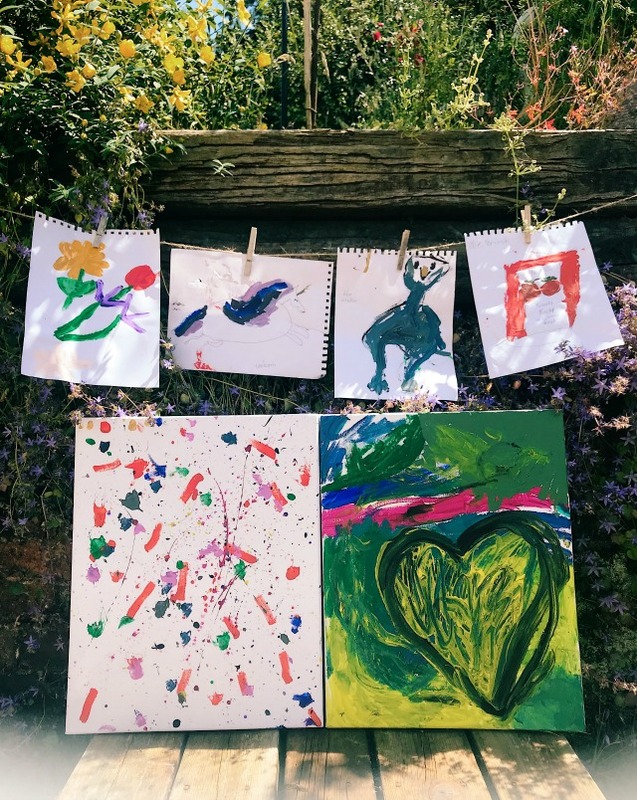 We had a whole afternoon of outdoor fun and we've got some beautiful pieces of artwork to show for it. Do you know what? I genuinely had as much fun as the children did and I'm going to listen to their suggestions more often. Why don't you try it too? 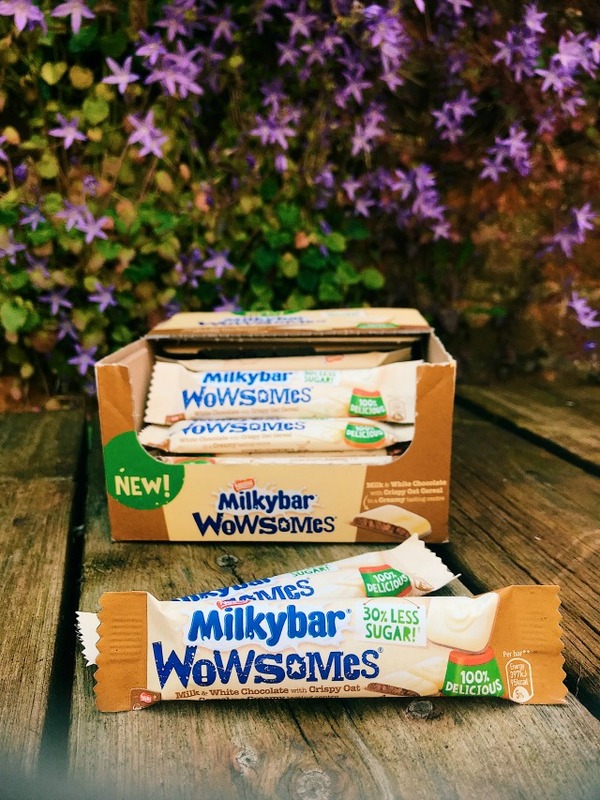 Milkybar® Wowsomes® are a brand-new chocolate bar with 30% less sugar than similar chocolate products but the same great taste. They contain absolutely no artificial colours, flavours, preservatives or sweeteners. Decorated with playful shapes and characters, Wowsomes® are a gluten free source of fibre with 95kcals in an 18g bar. What’s more, with milk as the main ingredient, Wowsomes® are still the Milkybar® everyone knows and loves. The tasty new treat is available nationwide in a bar, multipack, or sharing bag - perfect for kids and adults. Milkybar® Wowsomes® are to be enjoyed as part of a balanced diet.